The management of Cornwall's estuaries and rivers is being discussed at an international conference starting in Cornwall on Thursday. 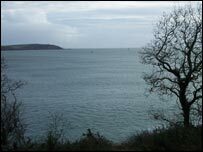 Delegates from Brittany, Ireland and the South West will meet to review a project to protect vulnerable habitats. The partners in the three-year Cycleau project are looking at tackling environmental issues like pollution. Dr Loveday Jenkin from the project says people's activities can adversely affect rivers and estuaries. Dr Loveday, who is co-ordinating the project in Cornwall, says that can then affect tourism, fisheries and water quality. Thursday's conference will look at rivers like the Fal, Helford, and Fowey where efforts to reduce pollution are under way. Solutions will then be shared with European partners.